All smartphones, tablets, and even most smart tv’s have a software that serves as the Home Screen, a familiar starting point for users to begin activities or return to when completing them. HCI created MediaCARE, our very own Home Screen that was designed and developed for both the patient and the hospital. It utilizes Android’s own “Leanback” elements, a set of principles and functionalities built to create a more user-friendly experience when navigating and using the Android OS with a remote. Taking the basic principles and usability that Google employs in their own Android TV, MediaCARE was designed to be easy to navigate and brings essential elements to the patient first. While some of the features such as the Context Row and the rectangular App “Banners” we used from the Android TV, MediaCARE allows for more options tailored for the hospital. These options include things such as setting the App Banners to be split into separate groups and to ignore or prioritize app recommendations within the Context Row. Other differences tailored for Healthcare Facilities include the header at the top that includes customizable pre-built modules, the ability to change the wallpaper image, and a secure Admin page that prevents patients from changing any of the settings. MediaCARE was designed with the setup to be completely done with an HCI remote, no more connecting to a mouse and keyboard. 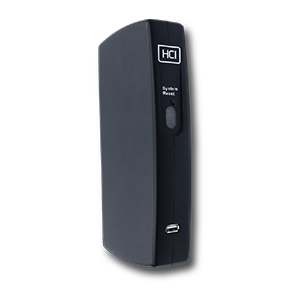 Everything from adding apps to the home screen, changing the wallpaper, and customizing app banner color and icon are all easily achieved using the HCI remote. The Android Leanback functions don’t stop at just the Home Screen, HCI’s Care Apps have been completely redesigned to function in a similar way as MediaCARE. They now feature large banners for the available media content that can be set up in different categories. When the patient selects a video or audio banner that interests them, it opens a detailed view providing a description and runtime. Additionally, all of the Care Apps now have a built-in Search function, making it easier for a patient to find exactly what they want. Discover even more about MediaCARE and how it can help your patients feel more at home!